Dental/Medical Care for Low Income Residents of NH. Please support us with a recurring monthly donation! We are celebrating 30 years of providing emergency food and assistance to those in need in the greater Exeter area! 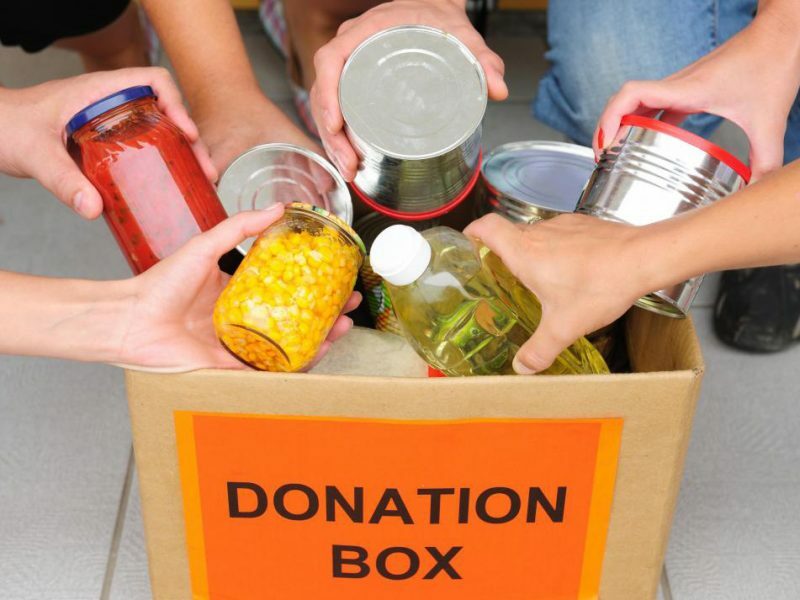 Number of pounds of food that the Society of St. Vincent de Paul Exeter distributed in 2018. Number of people who were provided emergency dental care and preventative dental hygiene care in 2018. Number of homeless families and individuals who were provided emergency food, supplies and referrals to shelters in 2018. 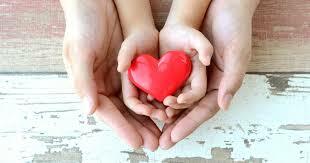 Your gift does more than you can imagine! We would like to express a heartfelt thank you to all who have supported our Food Pantry and Community Assistance Center this year. Your investment, whether large or small, helps us continue providing an amazing service to our neighbors in need. We are so very grateful for those of you who have sacrificed to make what we do possible. Thank you for your continued support of the Society of St. Vincent de Paul Exeter! 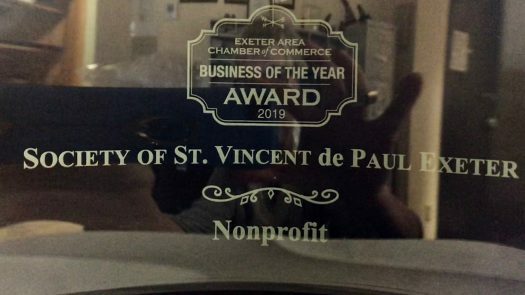 We are so very honored to receive the Exeter Business of the Year Award, Non-Profit Sector! We really appreciate the genuine support we have gotten from the Exeter Chamber of Commerce and all our wonderful community friends and businesses! Thank you for this amazing honor! Fresh produce, beef stew, juice, vegetable and cream soups, deodorant, canned corn, toilet paper, toothpaste and toothbrushes. Thank you very much! I bequeath $____ or ____% of my estate to: SVdP Exeter, 53 Lincoln Street, Exeter, NH 03833. Our tax ID# is 20-3945985. Thank you!